Some unscrupulous hooligans/thugs believed to be supporters of the ruling, Sierra Leone Peoples Party (SLPP) have terrorized and assaulted the Sierra Leone Broadcasting Corporation (SLBC) Western Rural District (WARD) correspondent, Mr. Yusuf Bangura. Speaking to the SLBC Morning Coffee program, Mr. Bangura said he has experienced several bloody attacks by politically motivated thugs since the pronouncement of the 2018 Presidential elections for reporting positively and neutrally without fear or favor adding that most time when they attack him, SLPP stakeholders always appear in the screen to show hate- redness for his reporting techniques by highlighting all factions involved to have well balanced stories at all time. “I was invited on Sunday 27th May 2018 by some SLPP Big guns at the Waterloo Lorry Park where I was warned to refrain from reporting against the SLPP”, said Mr. Bangura adding that during that process they took away his SLBC gadgets with other important working materials. 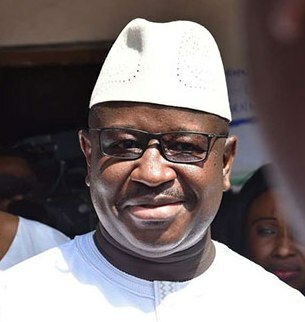 He added that the group is been headed by SLPP strong followers who reside along the waterloo- camp highway and mentioned that the group members threatened to terrorize him at any time from now if he continue to stay at WARD C as a reporter for SLBC. In that regards, Yusuf Bangura is calling on the lawmakers and the Sierra Leone Police in particular to look into the matter keenly and cross check all his reports since he was assigned to the district as SLBC correspondent adding that if he was not reporting accurately, SLBC management should have relocate him or discharge him off from his duty. “If anybody feels offended that I am not reporting the facts to the public let that individual or group of people made the report to my institution which is the SLBC or to the Independent Media Commission (IMC) for the law to take its course”, SLBC Staff testified . He said the recent incident which involved throwing away of toilets to the house of a former Waterloo Headman by SLPP stalwarts was also another report which ignited SLPP supporters to class him as their number one target that always exposing the ugly deals of SLPP senior officials at the district but he however vowed not to talk about it now because the matter is under investigation at the Waterloo Police Station.